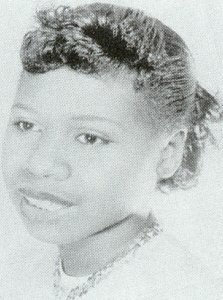 Above: Photo of Little Esther Phillips (real name: Esther May Jones) at 15 years old. Above Left: Billboard Clipping From February 1951. 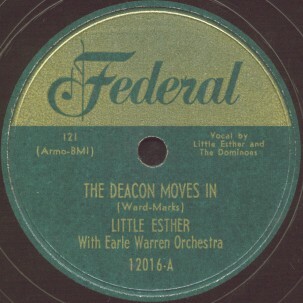 Above Right: "The Deacon Moves In" is the first of two records (one side each) that Little Esther had released on Federal backed by The Dominoes, both in 1951. She shares the lead on this one with Charlie White of The Dominoes. Esther was only 15 at the time of this recording. Click on an option below to listen to "The Deacon Moves In" using RealPlayer.